Covington, KY—Business marketing and consulting agency, November Strategies, has launched WomenAuthorSpeakers.com, a new online directory connecting women authors with organizations that are looking for speakers for events and workshops. The new site offers exciting, talented authors who are experts in their field, as speakers to organizations. All speaking and travel arrangements are worked out independently between the author and the organization, thereby reducing red tape. WomenAuthorSpeakers.com provides free listings for authors who can speak on a variety of subjects including women’s issues, leadership, public speaking, politics, business, domestic violence, girlfriendships, non-profit marketing, finance, education and health care. Featured author/speakers include former Vermont Governor, Madeleine Kunin, former Ohio Secretary of State Jennifer Brunner, Deb Prichard, Gloria Feldt, Christine Jahnke, Mackey McNeill, Deb Sofield, Marti McGibbon, Kathy Groob, Dr. Judith Van Ginkel plus many other distinguished women. 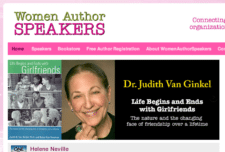 WomenAuthorSpeakers.com lists authors by category, providing background information about the author, her speech topics and her location. Most authors will travel throughout the United States and beyond. 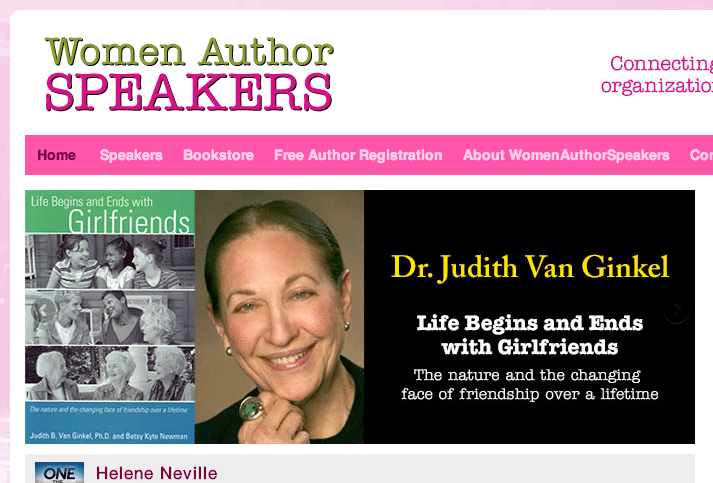 Women authors can receive and manage their free listing at http://womenauthorspeakers.com/speaker-registration/. Advertising opportunities and upgraded listings are available by contacting [email protected] or 859-581-9002.